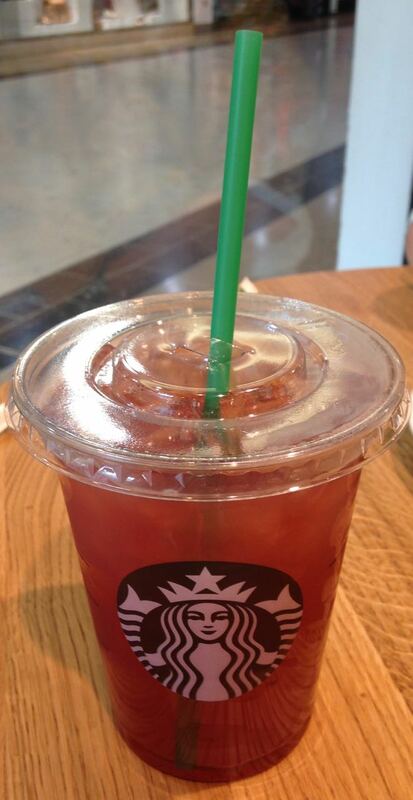 So the new drink from Starbucks this summer has quite a long and complicated name! 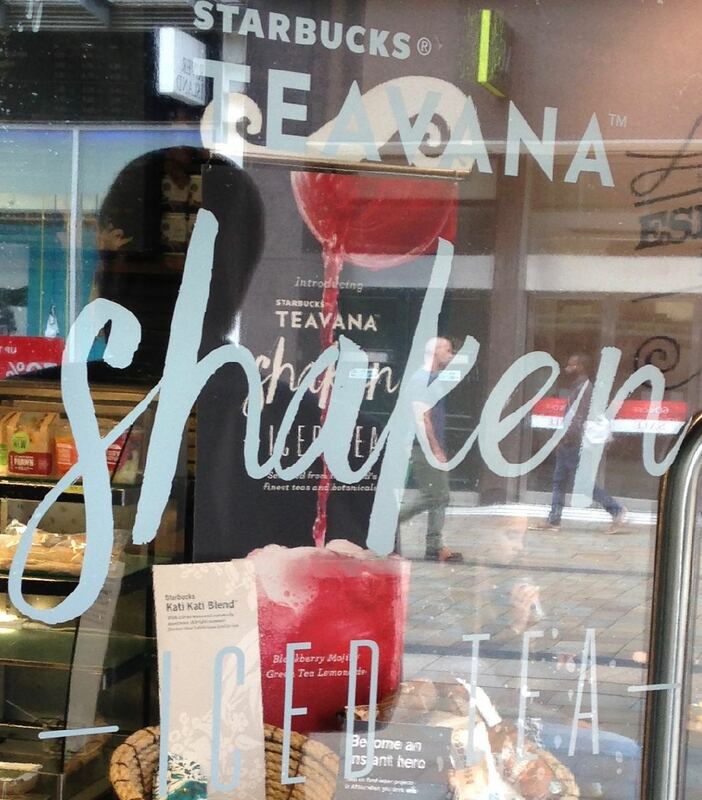 Teavana Iced Shaken Blackberry Mojito Tea Lemonade, there are an awful lot of flavours packed into that, and some specifics of how to make make it. As the weather has been so lovely, I decided to cool off with the new drink. I ordered the medium version of the drink, well two actually, and watched the lady make them. Notably something was missing, the shake. The ingredients were put straight into the flimsy plastic take out cup, and I thought as she was doing this that she have to be careful shaking it, but it turns out she didn't at all, she added in the ingredients and that was that. I picked up a straw and gave it a quick stir, but neither drinks were shaken which was disappointing as they kind of made it a thing, it was even mentioned on the door. All this aside the drink was really good. It wasn't as cold as it could have been, but we have been having some seriously hot weather and there was plenty of ice added. The flavour is predominantly herby, with the mint and green tea base shining through. The black currants add a slight sharpness and the lemonade a citrus hint of sweet. Don't go expecting a sugary treat, this drink is much more on the side of a refreshing tea base. However the background herby flavour and sharp berries with lemon do make it wonderfully refreshing, and the perfect drink on a hot day. 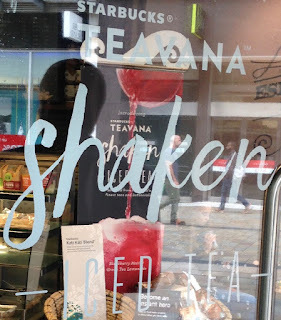 It is one I'll be having again, next time I'm hoping for it be shaken properly too.